For GPS use: 1322 Rickert Rd, Perkasie, PA. 18944. 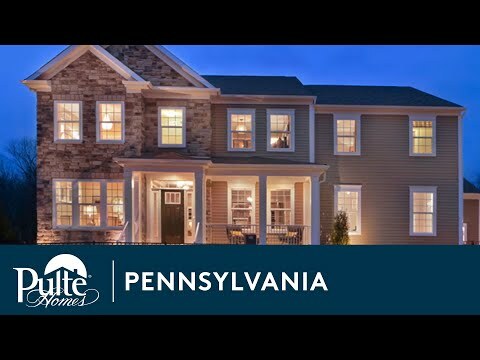 Located in the highly-regarded Pennridge School District, Tice Estates offers quick access to service and convenience retail and sits just eight miles west of downtown Doylestown. Our consumer inspired designs offer the latest in smart home technology and quality construction. The life you want to live is waiting for you at Tice Estates. Explore this community and see for yourself. The Bridgeview includes open flow living spaces, a first floor flex space and upstairs loft, great for functional living. A large Everyday Entry™ welcomes you to Deer Valley. Then enjoy a window-lit gathering area, flex space, and an Owner’s Retreat. Built for entertaining, Trailway never fails to impress, with a 2-story foyer, formal dining area, and an inviting gathering room. Tice Estates is a single family community consisting of 36 homes, many of which rest on 1.4 acres of land. Enjoy shopping at nearby King of Prussia or take the family to explore all that Philadelphia has to offer, like year-round entertainment, dining, and sporting events. Receive up to $5,000 towards closing costs when you partner with Pulte Mortgage and Pulte Homes. Homes are selling fast and only 3 homesites remain available in our current release that sit on over 2 acres of land! Schedule your personal tour today before it is too late!